July 22 - July 27, 2016. The Light Grey Residency Program: Team Mist includes a diverse team of concept artists, photographers, illustrators, and fine artists from different areas of the globe. The TEAM MIST residents hail from the United States, Canada, Australia, Germany, and England. In 2016, the artists traveled through Southern Iceland visiting some of the most secluded and untouched landscapes. Our day excursions included hikes near creaking glaciers, haunted hillsides, mossy grattos, basalt caves, and more. 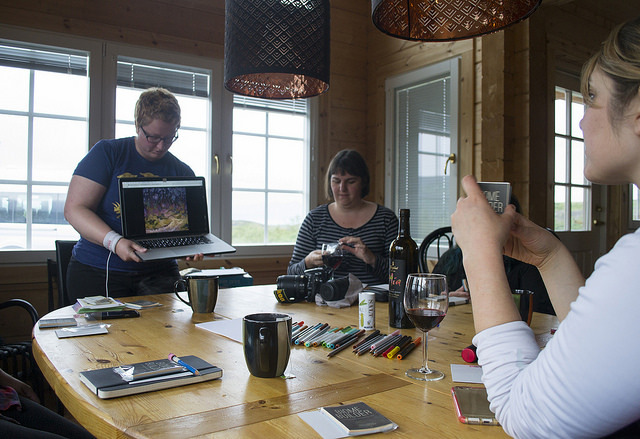 Equipped with our sketchbooks, cameras, and hiking gear, we set out on an adventure of a lifetime to explore, document, collaborate. Read more about one of our three 2016 artists in residence teams below. Alexandria Neonakis is a UI designer and illustrator. She was born in Nova Scotia Canada. She made the move to Southern California in 2010 to pursue a career in video games. Today she is working as the UI designer for Naughty Dog. Titles shipped include The Last of Us, Left Behind and the upcoming PS4 title, Uncharted 4. She also illustrated a children's book in 2013, Sweetest Kulu by Celina Kalluk. Andrea Kalfas is a freelance illustrator, graphic designer, painter, letterer, professor, and synesthete. She creates artwork for numerous magazines and publications and produces web and print materials for various clients as a senior designer with Spur Design. She also teaches illustration at the Maryland Institute College of Art where she earned her BFA in 2008. Currently, Andrea is soaking up the charm of Baltimore, MD with her two cats and dog. Her clients include: The New Yorker, The New York Times, CHRLX, Shapiro Walker Design, Krispy Kreme, Nautilus, PlanAdvisor, aiCIO, Anthology Magazine, Scout Books, Faces Magazine, Muse Magazine, Cicada Magazine, and BUST. Andrea's work has been lauded by Communication Arts and American Illustration, and featured in The Society of Illustrators Comic & Cartooning Annual, NoBrow 8 Hysteria, and NoBrow 6 The Double. 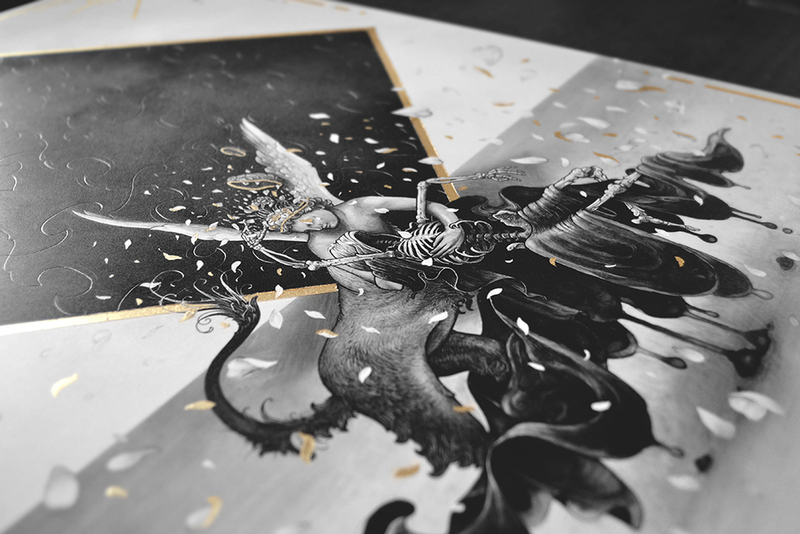 She has exhibited worldwide in shows including Tarot, Mystics, and the Occult at the Light Grey Art Lab (Minneapolis, MN); The Book Show at Galerie Maghen (Paris, France); Edward Scissorhands 20th Anniversary Tribute at Gallery Nucleus (Los Angeles, CA); and Super Villain at Rotopolpress (Kassel, Germany). Betsy Bauer is an East coast transplant to the greater Los Angeles area. She has been drawing, painting, and telling stories longer than she has been walking. 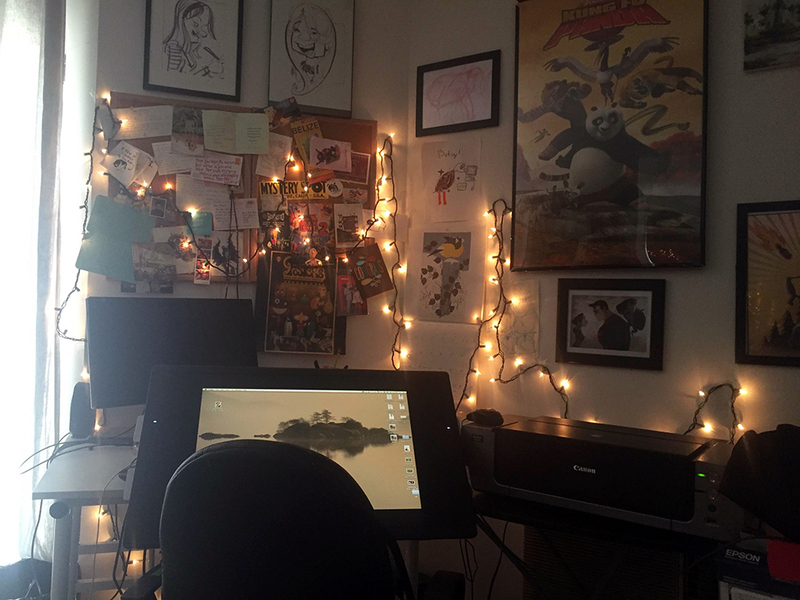 In 2010, she had the opportunity to intern at Sony Pictures Animation as a Story and Visual Development artist on Cloudy with a Chance of Meatballs 2, and in 2011 she graduated from the Ringling College of Art and Design with a BFA in computer animation. She spent a year and a half developing a feature film for Digital Domain Tradition Studios in Florida, and from there she headed West and to spend another year and a half creating whimsical illustrations, films, and games known as "Google Doodles." She is currently working as a Visual Development artist on an animated feature film at Paramount Pictures in Hollywood, CA. 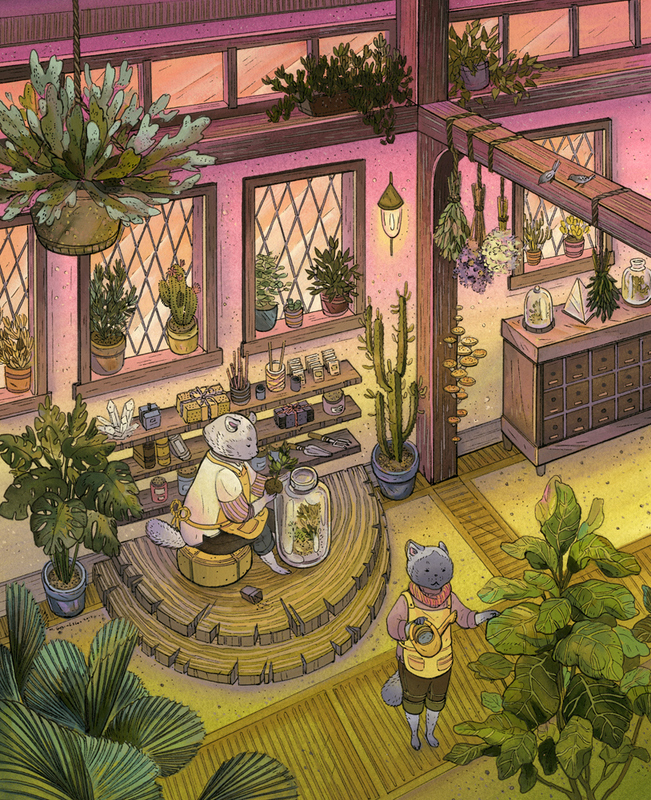 She uses her evenings to create children's book illustration. 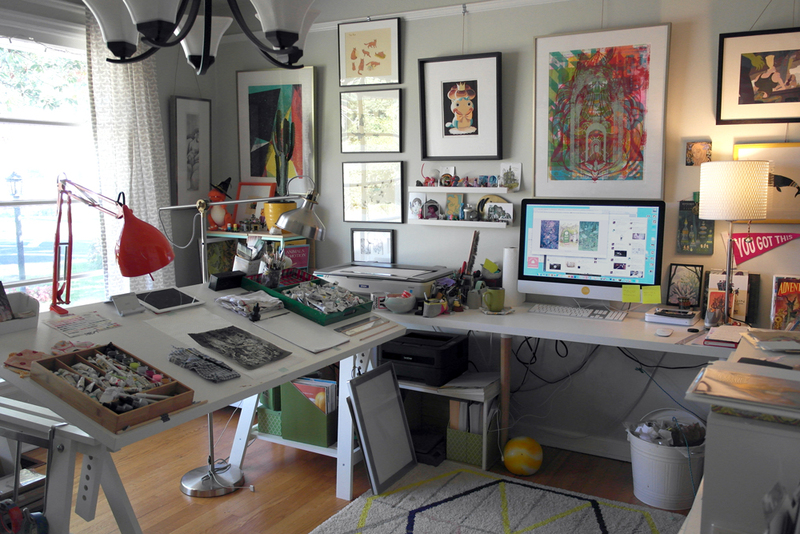 Nicole Gustafsson is an artist and illustrator living in the Pacific Northwest. Originally from Nebraska, she loves the outdoors and continues to be inspired by the natural world. She specializes in traditional media paintings featuring themes of adventure and exploration in the fantastical environments. Her work can be seen in galleries across the United States such as Gallery 1988, Gallery Nucleus, and iam8bit. Nicole resides in Washington State with her husband and pets. Kathleen is a freelance illustrator and writer from Brisbane, Australia. She works in a combination of traditional (pen, ink, scratchboard, cut paper) and digital media. She has illustrated books for Small Beer, Tor.com, Subterranean and Tartarus among other publishers, and has twice been a shortlisted artist for the World Fantasy Award. Currently she is working on her first fully illustrated picture book for Tiny Owl Workshop, a local maker of beautiful things. 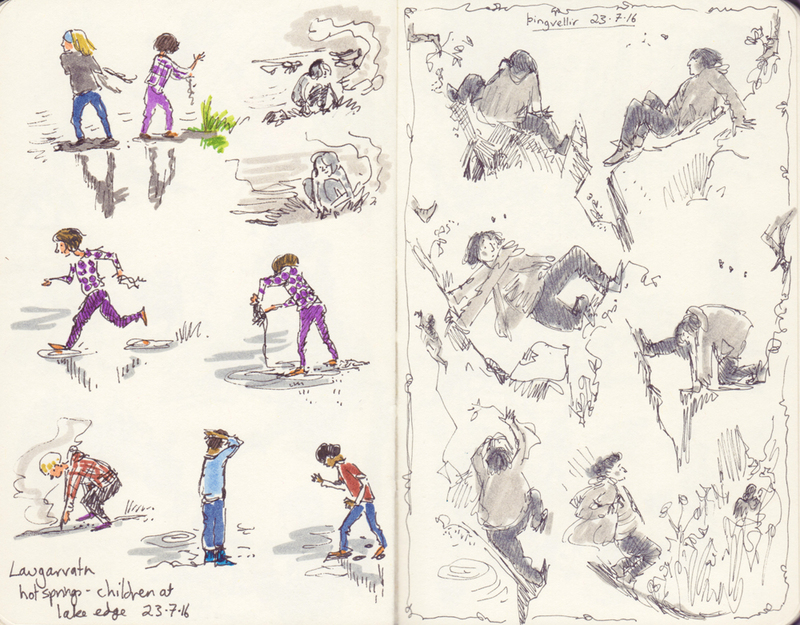 She also keeps documentary sketchbooks and has been the Artist at Large at the Brisbane Writers Festival. Lana Crooks loves the antique, the creepy, the cute and the mysterious. A textile sculptor by trade, she strives to recreate delicate skeletal specimens and give new life to ghosts. Constructing creatures from fabrics and found objects, she is a purveyor of faux specimens and soft curiosities. Sought after for her pattern-making abilities, Lana has frequently teamed up with other artists to breathe three dimensional life into their illustrations. On an average day, you can find her in the studio surrounded by skulls, old books, model ships, faux fur, glass eyes, a menagerie of stuffed friends and a cat named Tanuki. 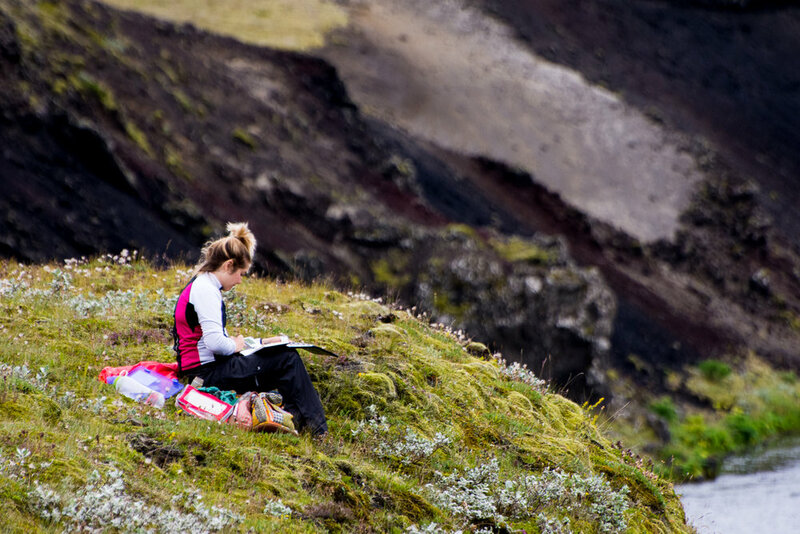 "I am excited to enjoy all that the wilds of Iceland has to offer while being surrounded by other creative people!" Jared Tuttle is an award winning illustrator and recent graduate of the Minneapolis College of Art and Design where he received his degree in Illustration with an emphasis on design. He currently resides in Minneapolis, MN where he works as a part time senior designer and a freelance Illustrator/Designer. 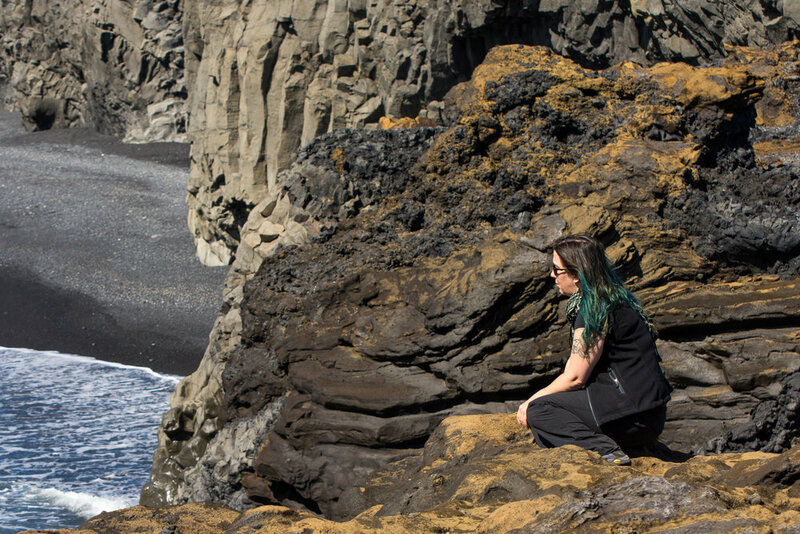 "I'm looking forward to simply immersing myself in the beautiful scenery of Iceland."